The main root of National ZheJiang University, Quishi Academy, was founded in 1897 and was one of the earliest modern academics of higher education in China. 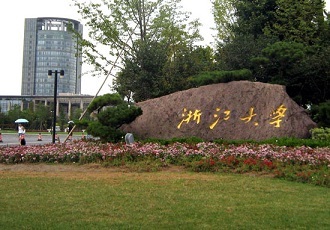 As of 1946, it officially changed its name to National ZheJiang University. With over 115 years of educational experience, ZheJiang Univeristy has continued to create exceptional talent and follow its mission of “seeking innovation and pioneering new trails”. In recent years, the university has committed to internationalization by inviting 30 foreign scholars to be professorsa the university; scholars include two whom are Nobel Prize winners. In addition, ZheJiang University has signed partnership agreements with 15 leading universities in the world. The number of foreigners coming to the university on exchange or study abroad continues to increase by 10% every year. As of 2013, the campus has over 3,000 foreigners. The number of local students travelling abroad has also increased by an annual rate of nearly 40%. Acorrding to the 2013 Times Higher Education World University Rankings, ZheJiang Univeristy was ranked among the top five in China and 45th in Asia. College rankings conducted by China’s Management Science Research Institute and Wushu Lian have ranked ZheJiang University among the top in China three years in a row, since 2011. National Chengchi University is officially a sister school of ZheJiang University as of 2013. Every semester they will host a student from the master program and the doctorate program.